We’re anxiously awaiting our first REAL snow of the year! We’re supposed to get between 1 to maybe 6 inches, which probably equates to next to nothing AGAIN! But here’s hoping! I’m so excited to have good friends over tomorrow to play in the studio with me. We’re going to be creating mixed media art and I can’t wait to see what we all create….nothing planned…it’s just play play play! I’m celebrating Friends, Family, SNOW….and Everyday! Inspired by a recent trip to Paris, I show you how to create a simple Eiffel tower with Friendly Plastic and turn that into a book mark or use as a handbag or purse charm. A great project if you’re new to Friendly Plastic. I’d love to hear from you, leave me a comment, send me a photo and I’ll post you’re work to our Friendly Plastic blog!! Get your winter crafty on! 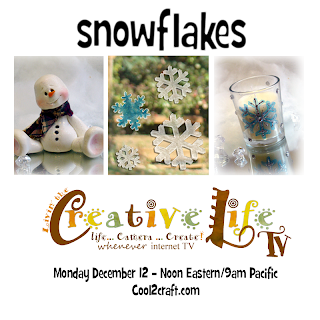 I’ll be sharing three new projects and a bonus on my next Creative Life TV show. Monday December 12 at noon eastern. 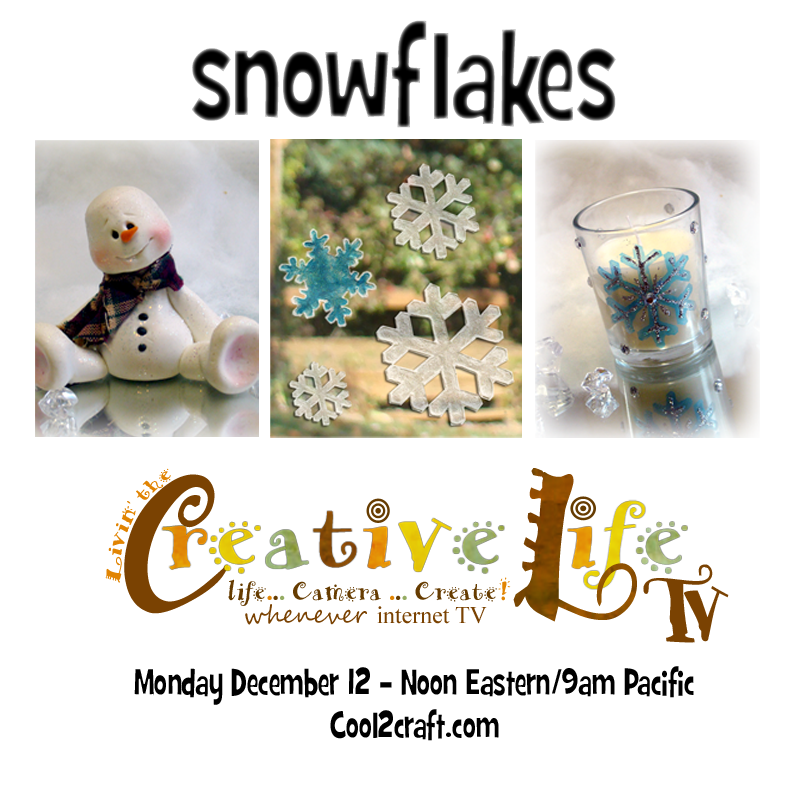 Just go to the cool2craft livestream channel at showtime to watch the episode and chat with me live. Can’t watch then? No worries – the show will air 24/7 until December 19th. Watch any time it’s convenient for you. Also be sure to check out all of ourarchived Cool2Craft videos on youtube – there’s over 500 episodes!